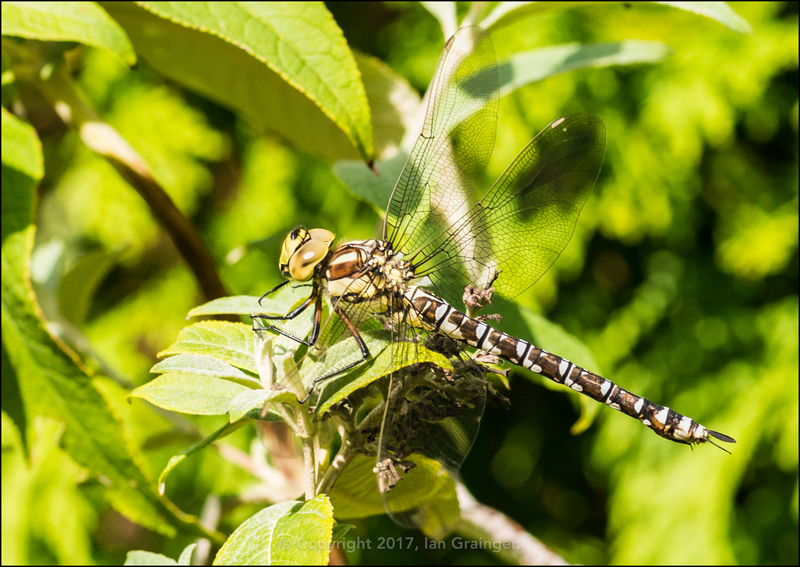 This beautiful creature is a Migrant Hawker Dragonfly (Aeshna mixta), and it's over two years ago since I last came across one in dad's garden. It has been a long wait to see another one, but it was well worth it. Unfortunately, this specimen didn't hang around for as long as its cousin, and I only managed to grab a few photos, but it was still a great find for me. 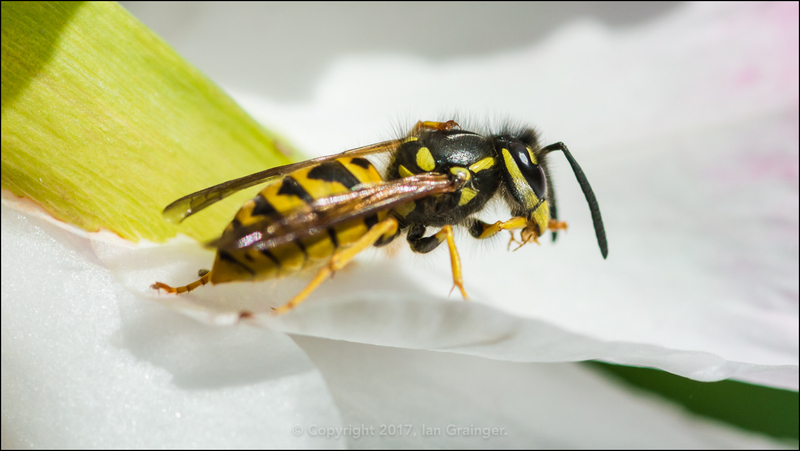 I was also quite lucky to grab a shot of this Common Wasp (Vespula vulgaris) devouring a small insect as it sat preening itself on a Gladiolus bloom. 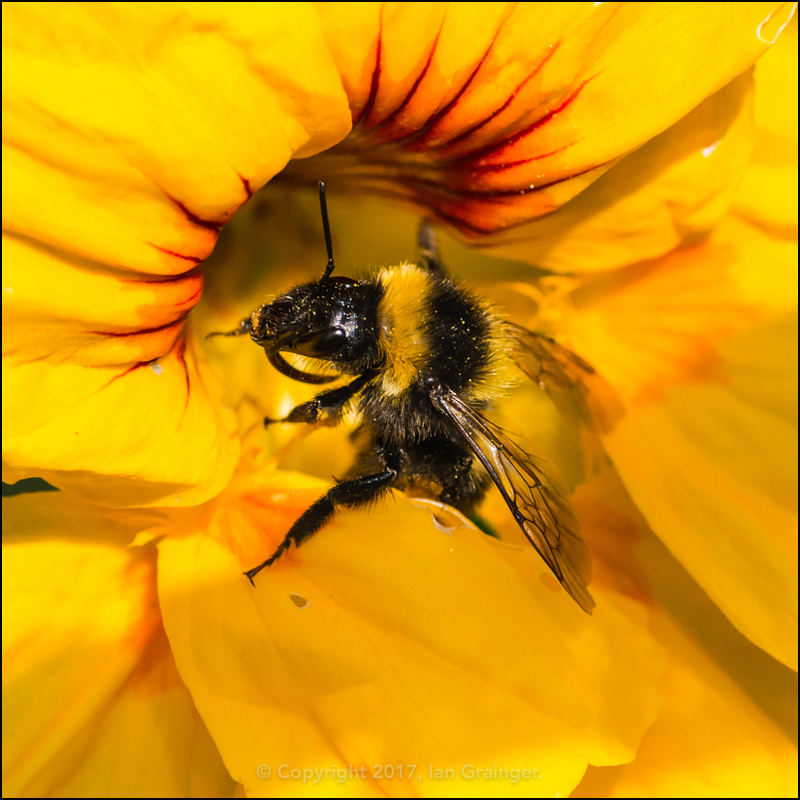 I had to wait an age for this Bumblebee (Bombus) to emerge from this Nasturtium (Tropaeolum) bloom, covered in pollen. He seemed to be enjoying himself in there! 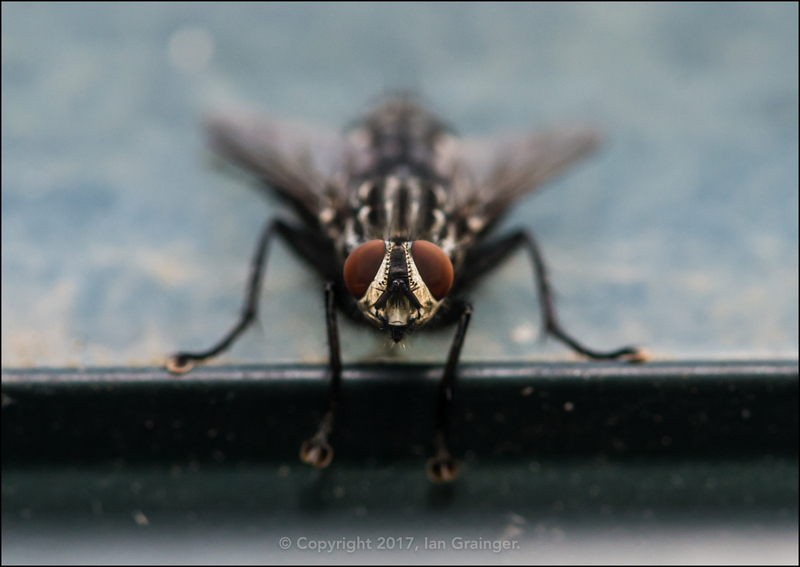 Although it was a lot warmer than it had been in recent weeks, this Flesh Fly (Sarcophaga carnaria) was enjoying using the warm frame of the greenhouse to get some heat into its body. 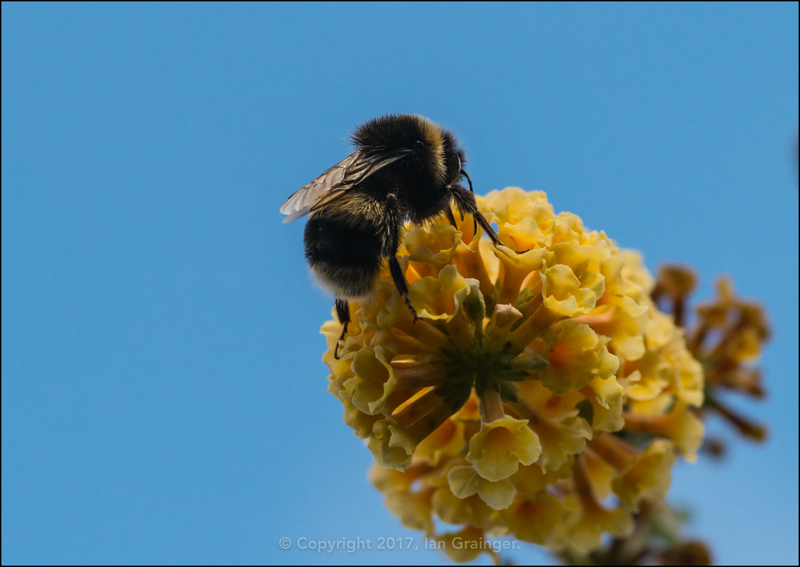 The Bumblebees were out in force this week, with this mountaineering one covering every inch of the large yellow Butterfly Bush (Buddleia). 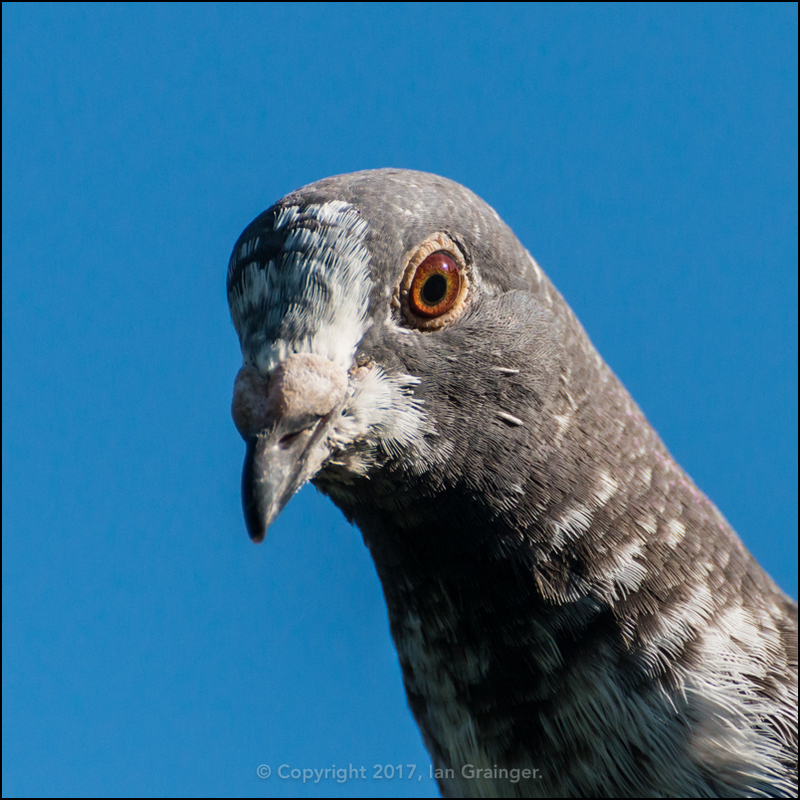 Meanwhile, there was a very friendly Feral Pigeon (Columba livia) watching my every move. 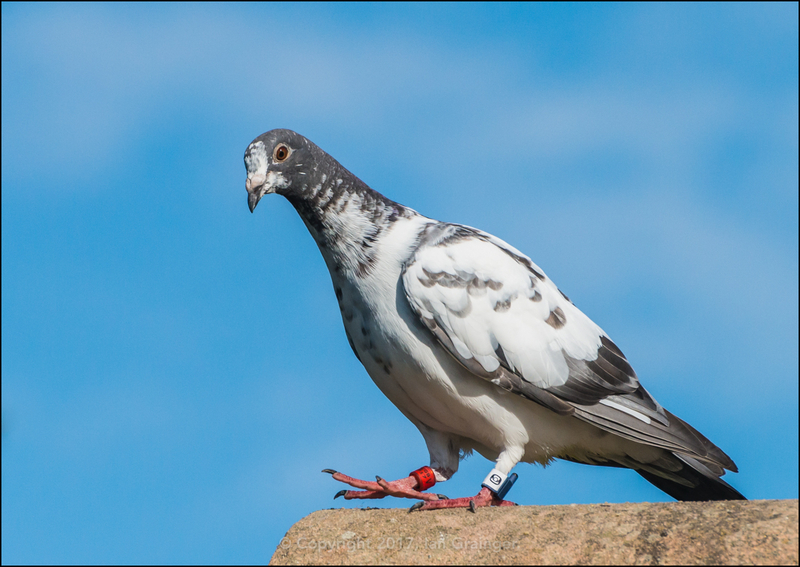 He seemed very tame, but it wasn't until I started to process my photographs that I realised he was ringed and tagged. I'm wondering if he was a racing pigeon that had become disoriented? He let me get very close, so I took advantage, and captured this portrait using a macro lens! I love the sparkle in his red eye. 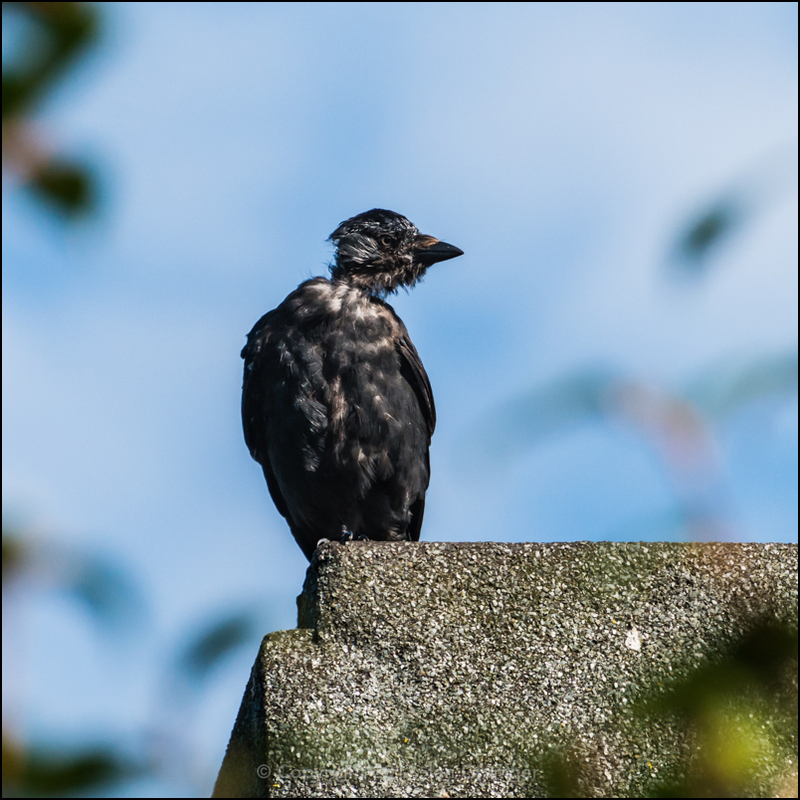 The young Jackdaw (Corvus monedula) was back again this week, and looking a bit worse for wear. I think maybe he'd had a lucky escape from the claws of something that was eyeing him as potential lunch. 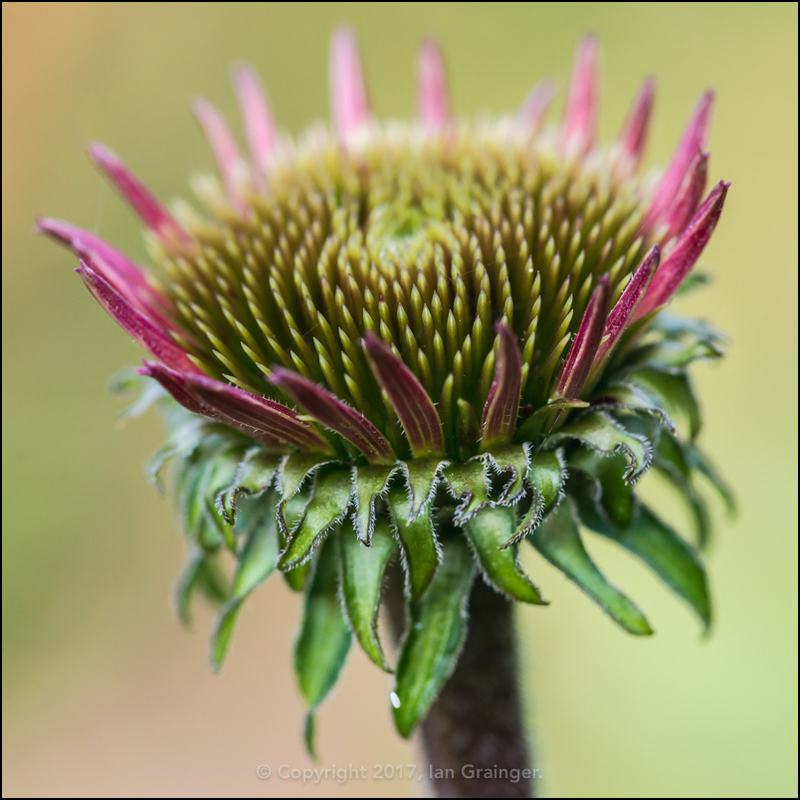 In the flower world, the wait for the Coneflowers (Echinacea) to flower was finally showing some progress. 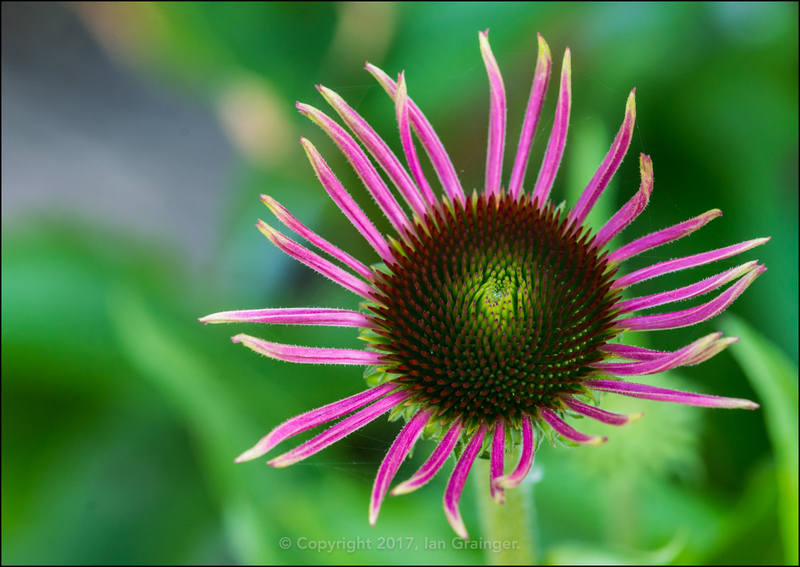 ...while this one had opened up completely. I must admit to being less than impressed by this display. 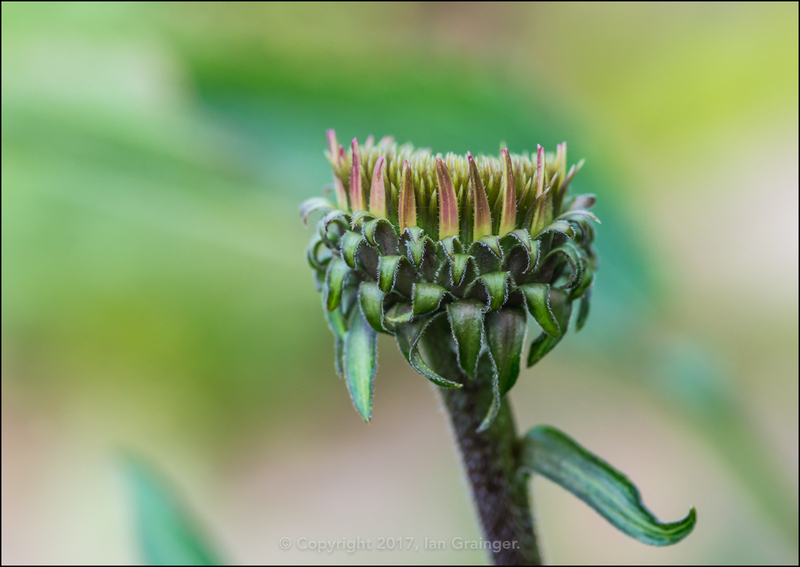 I was expecting much larger petals! 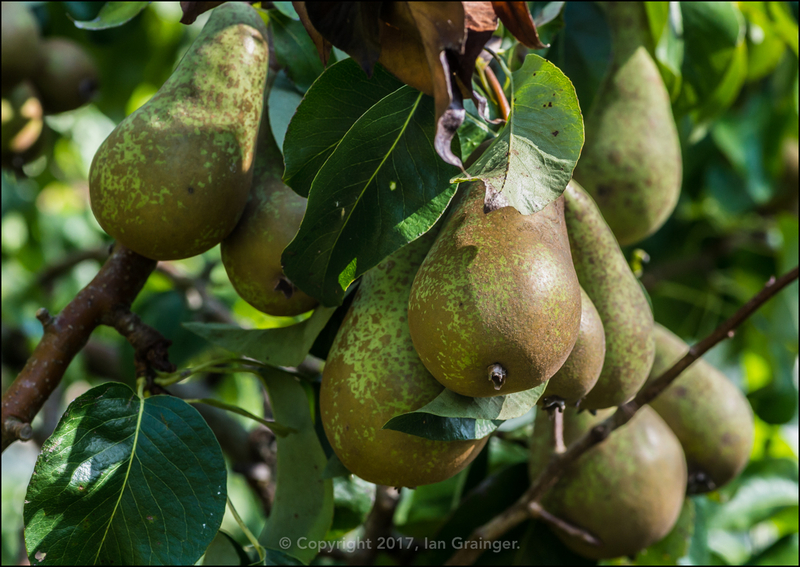 ...and the Pears looked like they could be harvested now. 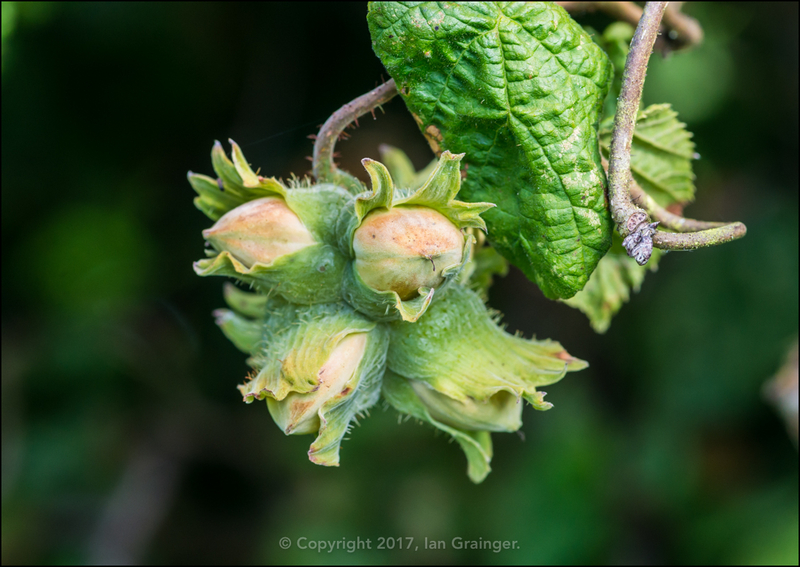 The Corkscrew Hazel Tree (Corylus avellana contorta) was producing dozens and dozens of Hazelnuts, that the Squirrels would soon be poaching. 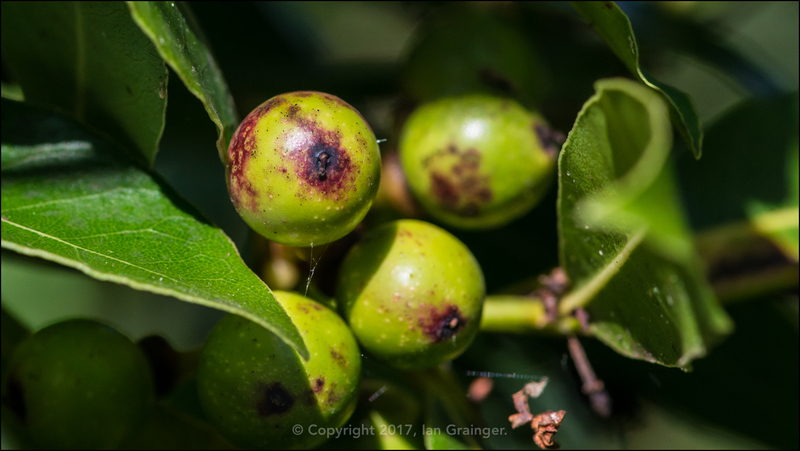 The Bay Tree (Laurus nobilis) was just beginning to produce berries, which would turn black when ripe. 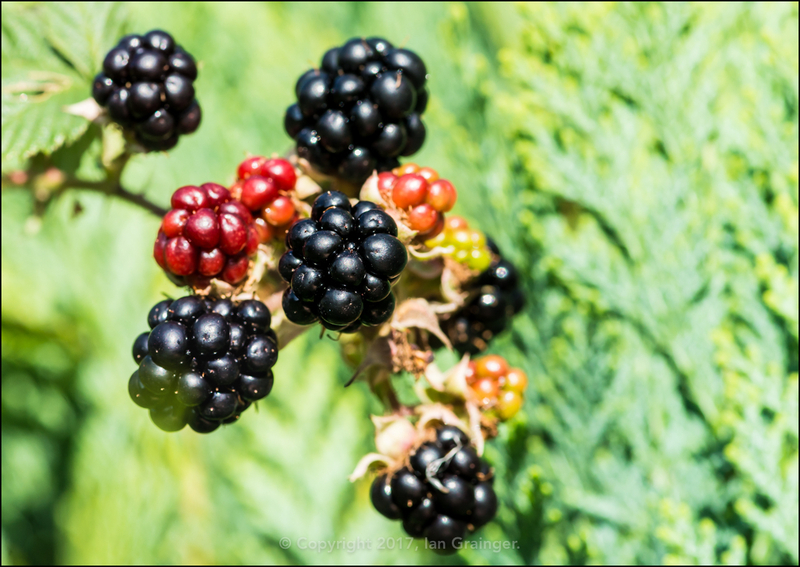 Even though I'd done my best to eradicate the Bramble Bushes (Rubus fruticosus), there were still plenty of them hiding away in the less accessible parts of the garden. 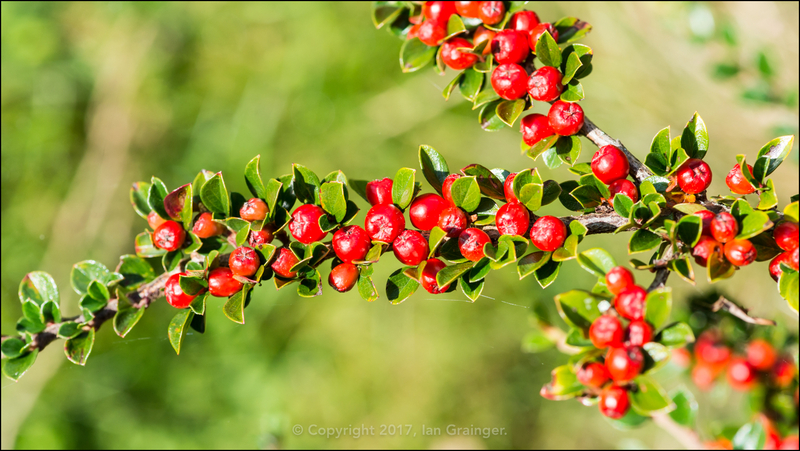 The Cotoneaster Bushes were now full of their bright red berries, which the birds would raid once their Summer food sources became more depleted. 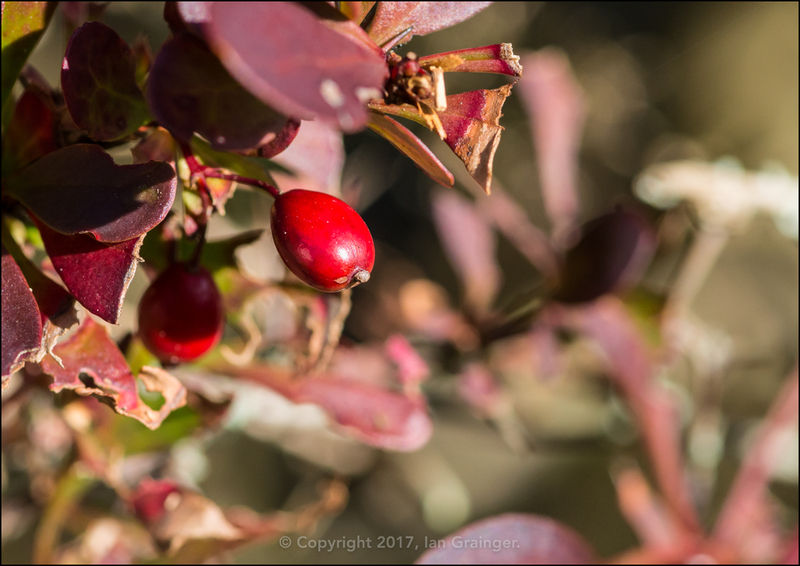 Even the Berberis Bush had a smattering of berries, which were already being raided my the birds. 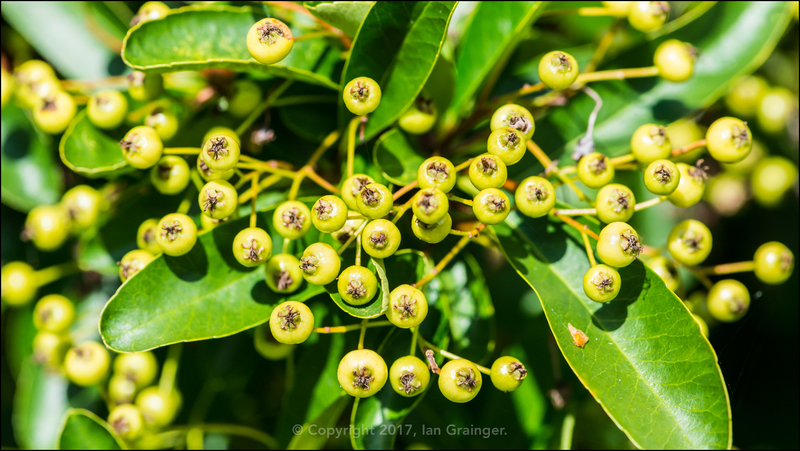 The Firethorn Bush (Pyracantha) was also just beginning to produce berries, which would eventually help to see the birds through the Winter. 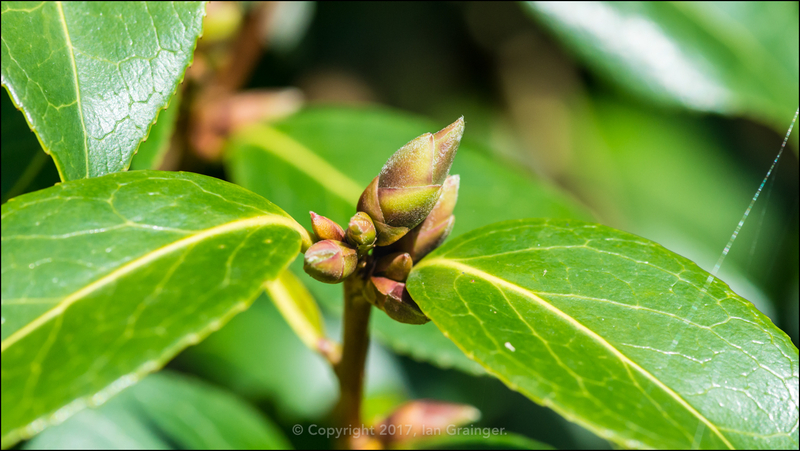 All of this talk of Autumn and Winter, and look, the Camellia Bush was just beginning to form flower buds, which wouldn't open until Springtime next year. 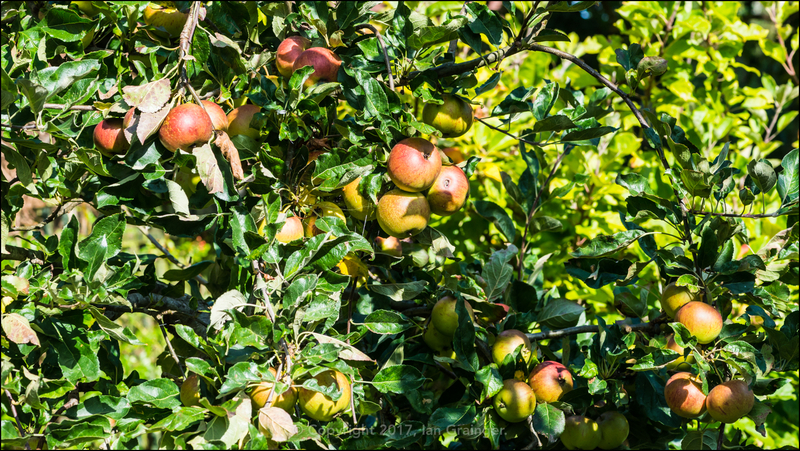 Isn't nature wonderful? Finally, here's another one of my fishy friends. 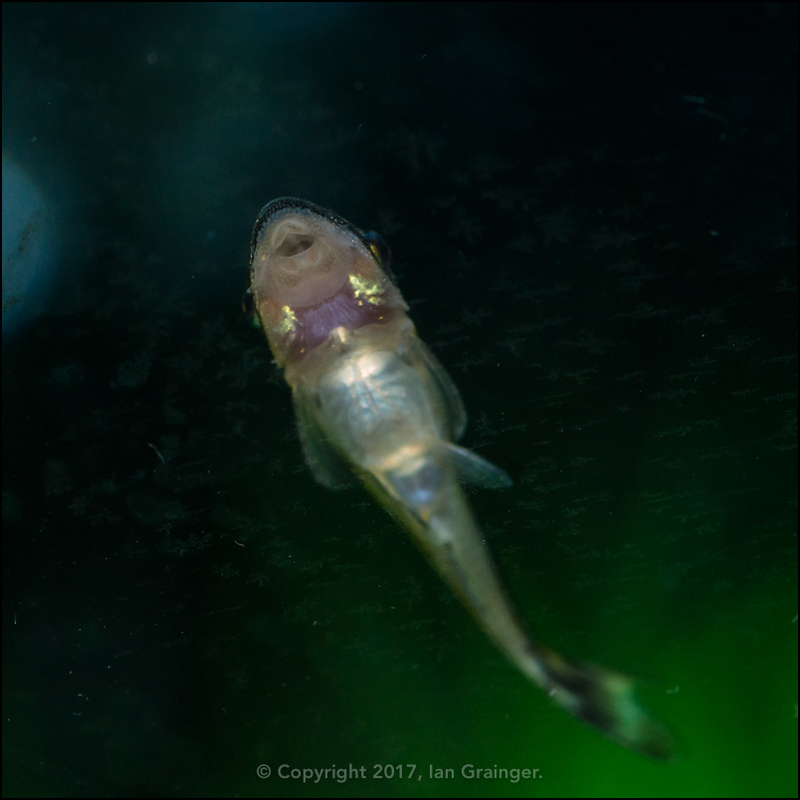 A few weeks ago I shared a picture of one of my prodigious algae eating fish, an Otocinclus. They are frequently seen stuck to the glass of the aquarium where they rasp at the algae, and perform a good job of keeping it clean. They've done such a good job that I've had to start supplementing their diet and have found that they absolutely love Cucumber! Who'd have thought that?